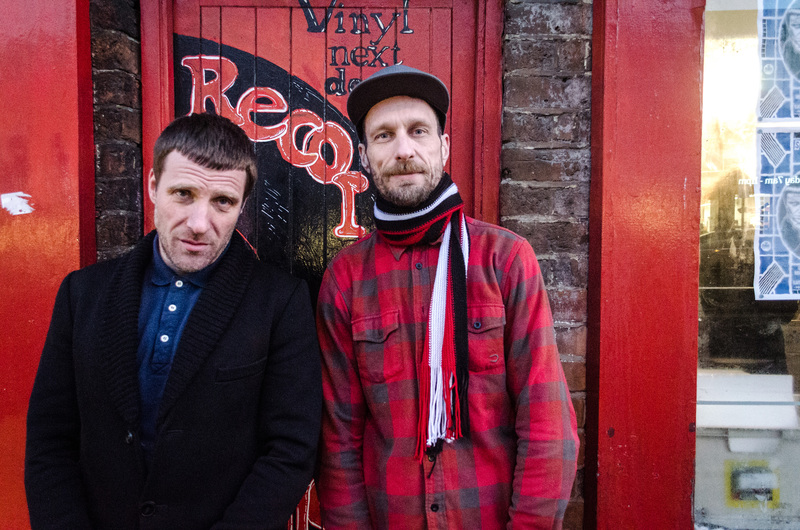 Bio: 2014 rounded off with Nottingham nihilistic poets SLEAFORD MODS finding themselves in the enviable position of being both critically acclaimed and commercially courted. 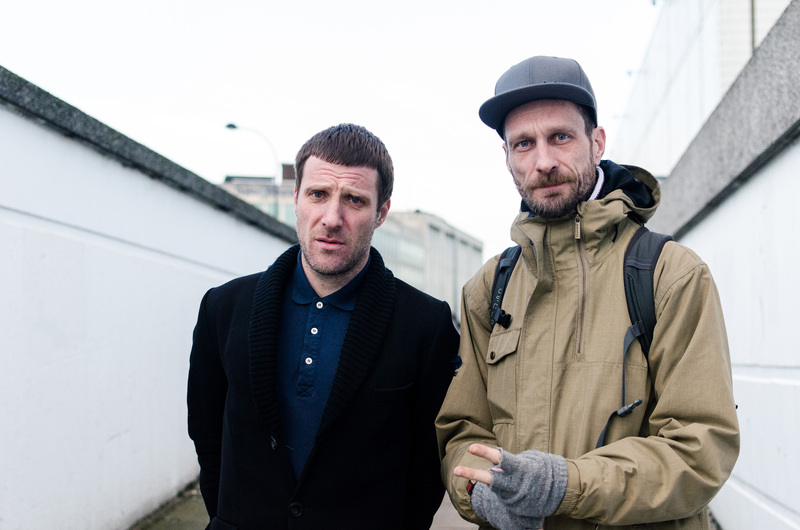 But for once, SLEAFORD MODS are a band truly deserving of the hype. 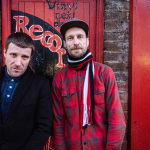 Sleaford Mods have existed in one form or another since 2006, so their rise to current popularity is far from an overnight success, (Williamson and Fearn are both in their mid-40’s). 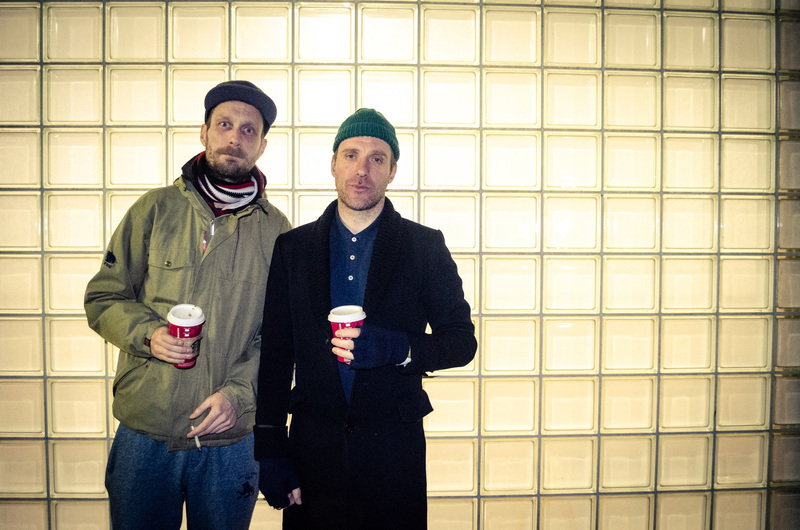 Their musical strengths lie in their minimalist approach, immediate and gloriously raw. Jason Williamson’s remarkable scattershot vocal delivery, sits perfectly over the stripped down crude beats and punk bass, supplied by Andrew Fearn. 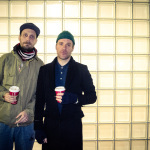 Lyrics are often bleak social commentary, full of bile and delivered with (genuine) working class rage. 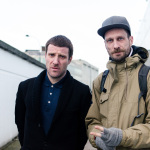 Not without humor, but all soaked in the impossible realities of the everyday, defining the Sleaford Mods as something truly unique, astonishing and important. Side A is taken from the UK National Top 10 chart album "Divide And Exit" LP, (Harbinger Sound), and the B Side, featuring additional vocalist John Paul, is exclusive to this release. 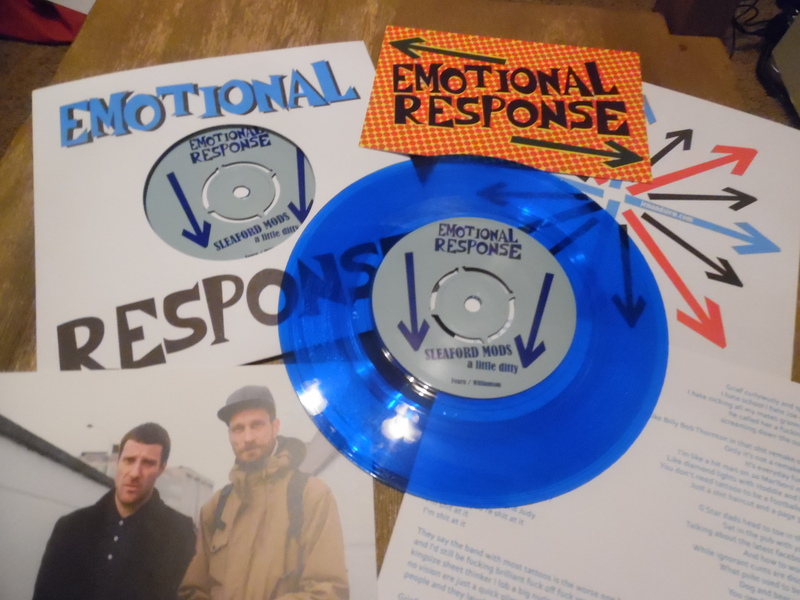 2000 copies pressed. 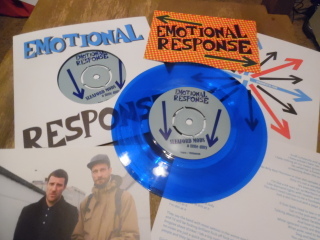 Includes lyrics sheet and color postcard. “There are no half-measures, no stylistic arcs, no organic steps taken, no time at all to let it sink in and decide if this is something you might like”. (PITCHFORK).